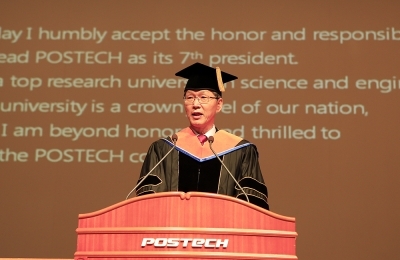 To the proud freshmen of POSTECH!I would like to extend a most sincere welcome to the newest Postechians. I am proud of your tireless efforts in surmounting a difficult admissions process to stride towards a new starting.. 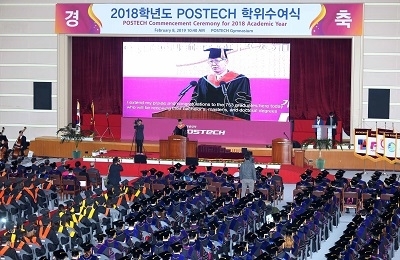 Proud graduates of POSTECH!I extend my praise and congratulations to the 753 graduates here today who will be receiving their bachelor’s, master’s, and doctoral degrees.In addition, I would like to express ..
My dear POSTECH family members,2019, the Year of the Earth Pig (Gi-Hae-Nyeon 己亥年) has arrived. 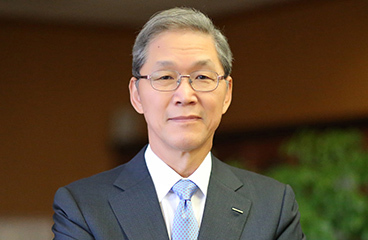 I would like to extend the sincerest of wishes for the realization of all your endeavors in the new year.I of..
My dear POSTECH members,2018, the Year of the Earth Dog (Mu-Sul-Nyeon 戊戌年) has arrived. I would like to convey my sincerest of wishes for the realization of all your hopes and dreams in the new year.This ..
To the proud freshmen of POSTECH!I would like to extend a most sincere welcome to the newest members of the POSTECH family. 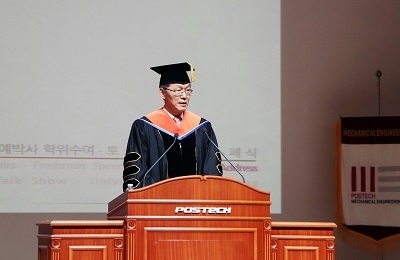 Our campus is made that much brighter by the brilliance of your eyes that reflect the ..
To the proud graduates of POSTECH!Today, each one of you will be receiving your bachelor’s, master’s, and doctoral degrees. I extend the warmest of congratulations and heart’s bouquet as you resolve to em..
My dear POSTECH members,2017, the Year of the Fire Rooster (Jeong-Yu-Nyeon 丁酉年), has arrived. I would like to convey my best wishes for good health, prosperity, and the fulfillment of all your plans in th..
My dear proud freshmen! 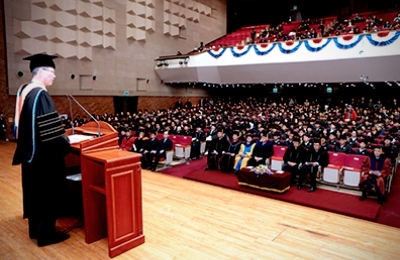 I would like to extend a warm welcome to the new members of the POSTECH community. 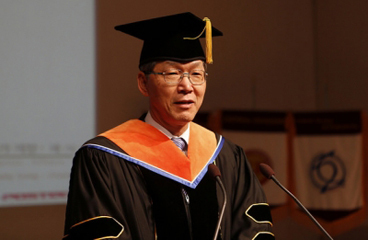 I am delighted that you have brightened POSTECH with your presence. 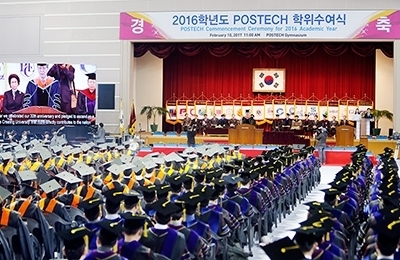 Moreover, I would like to express ..
My proud graduates of POSTECH! 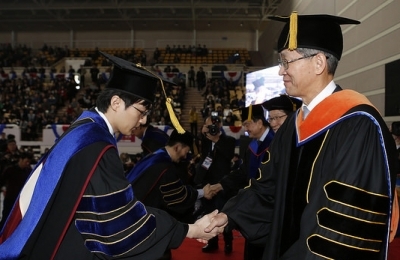 I would like to express my sincere congratulations on your honorable academic accomplishments. 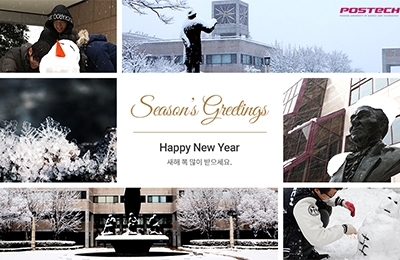 Respected Chairman Kwon, Board of Trustees, distinguished guests, families, friends..
Dear colleagues and respected members of POSTECH,The year 2016 has arrived. 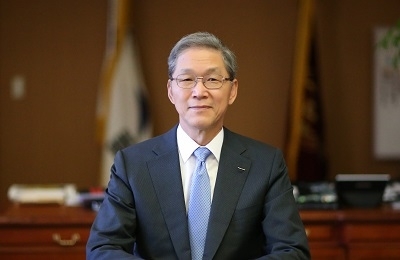 I would like to convey my best wishes for the fulfillment of your dreams and resolutions this year.It is my pleasure to humbly note th..
My beloved students, proud alumni, faculty, staff, and distinguished guests!It is with my heartfelt gratitude and joy that I welcome your presence here today.Today I humbly accept the honor and responsibility t..
투명해지는 기술 '클로킹'을 가능하게 하는 것은 바로 메타물질이라고 합니다. 그리고 이 분야를 선도하고 있는 기계공학과‧화학공학과 노준석 교수‧통합과정 장재혁 씨 팀이 이번에는 실제로 IoT(사물인터넷) 기술로 연동할 ..
지난 13일, 산업경영공학과 89학번 동문들이 입학 30주년을 기념하여 모교를 방문하고 학과발전기금을 기부해 주셨습니다! 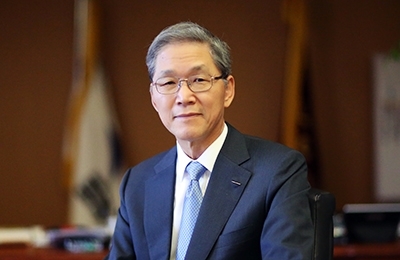 이번 기부에는 1989년 산업경영공학과에 입학했던 30명의 동문 중 27명이 참여하며 동기들의 끈끈한 우정..
우리나라 최초의 연구중심대학인 POSTECH을 이끌었던 세계적인 가속기 물리학자 무은재(無垠齋) 김호길 초대총장과 한국 수학계의 위상을 높이고 우리대학 수학과 창립에 기여한 권경환 수학과 명예교수가 우리나라 과학기술 ..
화학과 박문정 교수·디판카(Dipankar) 박사·박사과정 김경욱 씨 팀은 얼음 표면 위에서 8분이라는 짧은 시간 동안 큰 면적의 2차원 전도성 고분자를 친환경적으로 합성하는 데 성공했습니다. 이 기술을 활용하면, 향후 투명 전극..
POSTECH은 16일, 경북도, 포항시와 손잡고 ‘경북 스마트시티 거점센터’를 우리대학에 개소하였습니다. 향후 실현 가능성이 높고 시민들이 체감할 수 있는 스마트시티 기반기술 사업을 집중 추진하며, 국비 공모사업 및 기업 투..
한국산업기술진흥원은 산업인공지능 분야 융합형 석박사 전문인력을 양성하는 ‘산업인공지능 전문인력양성사업’ 사업자로 POSTECH‧고려대 컨소시엄(주관:전자부품연구원)을 선정했습니다. 5년간 총 92억원 규모로, 이 컨소시..
‘원조 벤처’에서 출발해 대한민국을 대표하는 부품‧소재기업으로 성장한 일진그룹(회장 허진규)이 POSTECH스마트캠퍼스 리빙랩(Living Lab) 구축을 위해 10억원을 기부하였습니다. POSTECH은 최근 발표한 블록체인캠퍼스를 비롯해,..
폴더블폰 성능 향상의 비밀은 고분자 도핑! 화학공학과 노용영 교수·신은솔 박사팀은 유기 트랜지스터에 화학 물질 대신, 절연층 물질 자체 특성을 이용한 자발적 고분자 도핑 방법을 활용해 간단하게 성능을 향상시키는데 성..